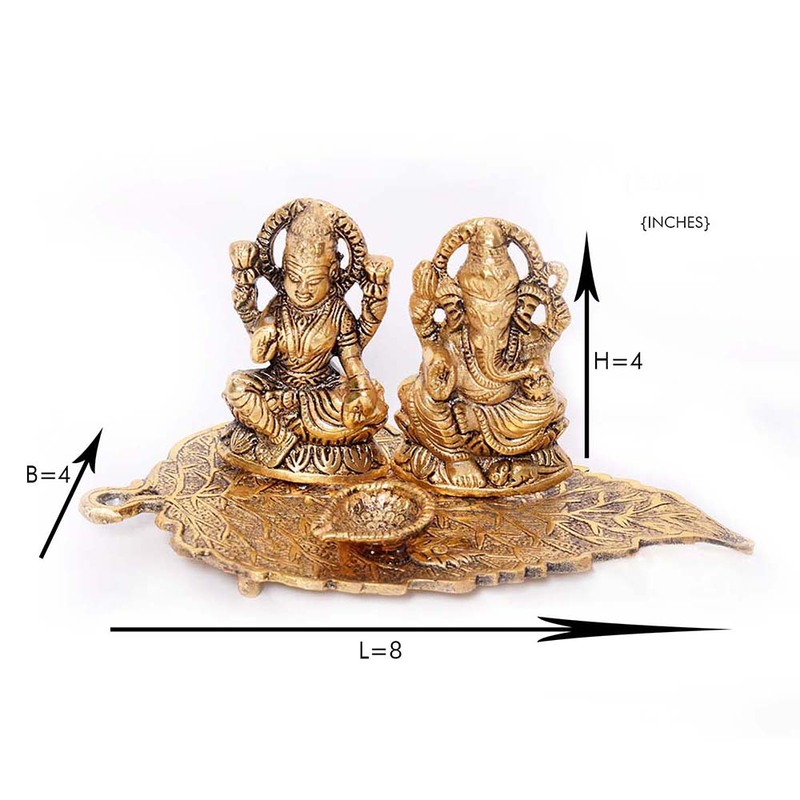 This dual showpiece of goddess Laxmi and lord Ganesh on a leaf is made from high quality oxidised metal which makes it extremely resistant to Read More..every corrosion agent there is. This ensures that the showpiece lasts a lot longer, which makes it a bargain considering the value for money it offers. 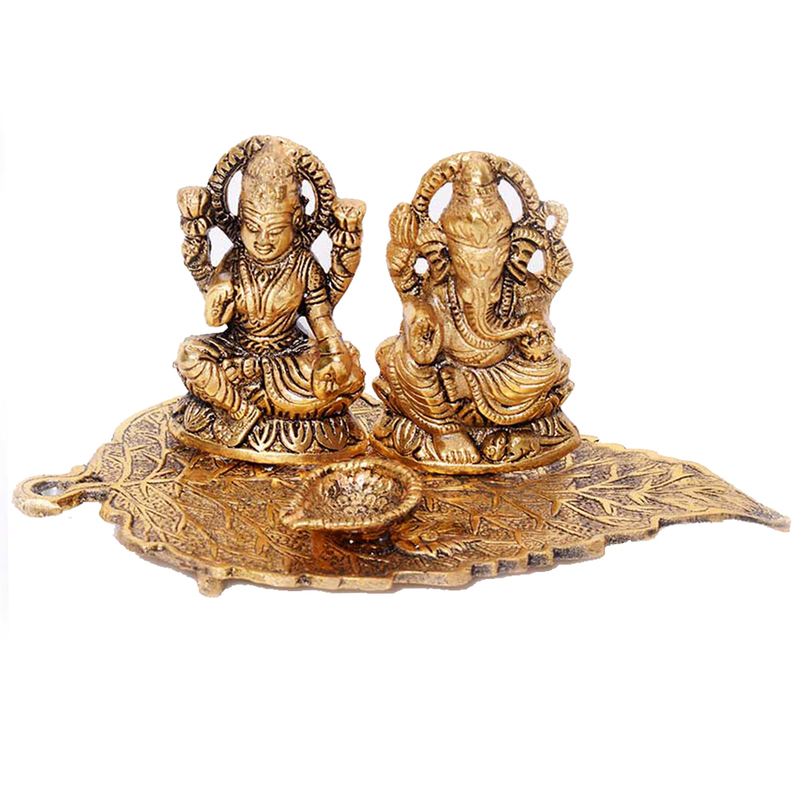 The intricate carvings on the showpiece makes it quite the eye catcher, making it perfect for any decorative purposes. Show Less..